O2 has bought out its partners in Weve and is set to integrate the sales operation into its existing media business. Weve was launched in 2013 as a joint venture between O2, EE and Vodafone in a bid to crack the mobile advertising market. 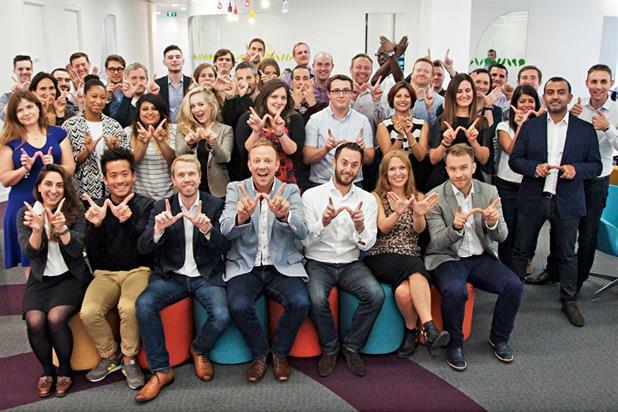 It was named Digital Sales Team of the Year at last year’s Campaign Media Awards. Nigel Clarkson led Weve’s 40-strong sales team as the commercial director. A spokesman for O2 said the number of people at risk of redundancy is currently under review. O2’s current owner Telefónica already has a media arm, led by Dan Rosen, the global head of advertising. However, Hutchison Whampoa, the owner of the Three network, is in the process of buying the UK O2 business. Meanwhile, BT has agreed to buy EE and is reportedly planning to present the deal to regulators this week. However, a spokesman for O2 rejected the suggestion that its purchase of Weve was related to the impending consolidation in the sector. The spokesman said: "Closing of the [O2 Hutchison Whampoa] deal is subject to regulatory approvals, which might take up to a year, until then we remain two completely separate and independent entities. In the meantime, the day to day running of our business continues – bringing Weve into O2 is part of this." The bulk of Weve’s business is selling text advertising. It had intended to launch a cross-network mobile payments service and loyalty scheme but the networks abandoned the plans in September in favour of launching separate offers. The spokesman for O2 said: "We took the bold decision to play in the contactless payments space with Weve and it did not work. Mobile payment is not a priority for O2 but we are watching this space with interest." In a joint statement O2, EE and Vodafone said: "Weve has been running mobile marketing and advertising campaigns for almost three years and has been successful in growing revenues and attracting new advertisers. "The [O2] acquisition follows a strategic review of Weve and as a result Vodafone and EE have now exited from their one-third shareholdings. Weve will now trade as a wholly owned subsidiary of O2." Clarkson said: "The structure and timings are still to be confirmed, but in the meantime, I wanted to let you know that it is very much business as usual. "At the heart of Weve were always three core pillars – data, media and scale. Working with a single committed owner in the shape of O2 will allow us greater agility to achieve everything we always intended for Weve to do and more."